As I am sure most of you already know LPR (Laryngopharyngeal Reflux) is caused by acid refluxing the whole way up and the esophagus and then entering the throat where most of the symptoms arise. It is also sometimes called silent reflux because you don’t have the typical reflux symptoms like heartburn. 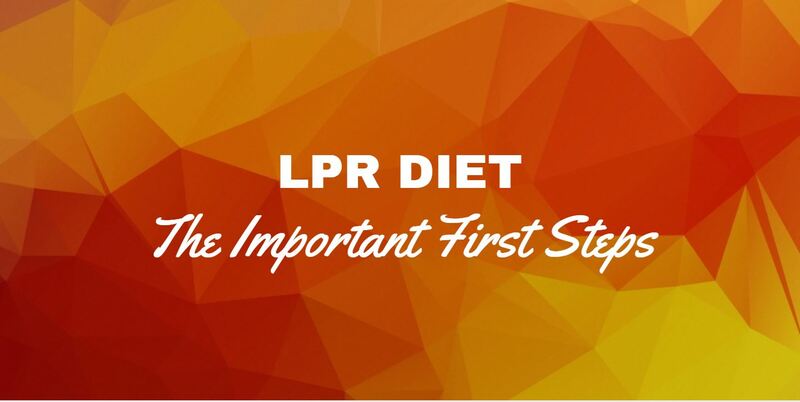 One of the best ways to effectively treat LPR (silent reflux) is through a solid diet plan. 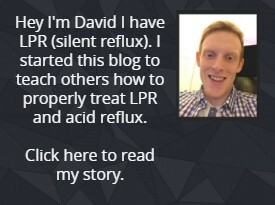 Below I will cover some of the most important diet steps for someone with LPR (silent reflux) and the exact reasoning behind why these steps are important and necessary to follow. While LPR may be a problem that seems very comparable to GERD when it comes to treating it you really need to follow a different set of guidelines and this also means a different variation of diet. Of course, there is definitely some overlap when comparing GERD and LPR though there are definitely very important differences that should be considered more thoroughly that often are not. If you want to know some more of the differences between the two check out my article GERD vs LPR. As you know if you have LPR the acid refluxes up. The notable thing worth mentioning is that along with this acid comes up a thing called Pepsin. Pepsin is a digestive enzyme which is produced in the stomach to help break down proteins. For someone with LPR this pepsin will cause the inflammation in the throat and most of the other symptoms. The thing with pepsin is that even after the acid reflux has happened it can lay dormant in the throat. The problem with it lying dormant is that pepsin is reactivated by foods/drinks that are more acidic coming in contact with it – even foods that don’t in fact cause reflux in the first place can directly reactivate this pepsin that is dormant in the throat which will reactivate the throat problems etc. This is the important difference between LPR and GERD. The person with LPR needs to avoid these foods which reactivates this pepsin more. Ideally you want to only be consuming foods and drinks with a pH of more than 5. This is because foods above pH of 5 reactivate the pepsin much less if not at all. You can see below in the diagram how much the certain acidity level will reactivate the pepsin. 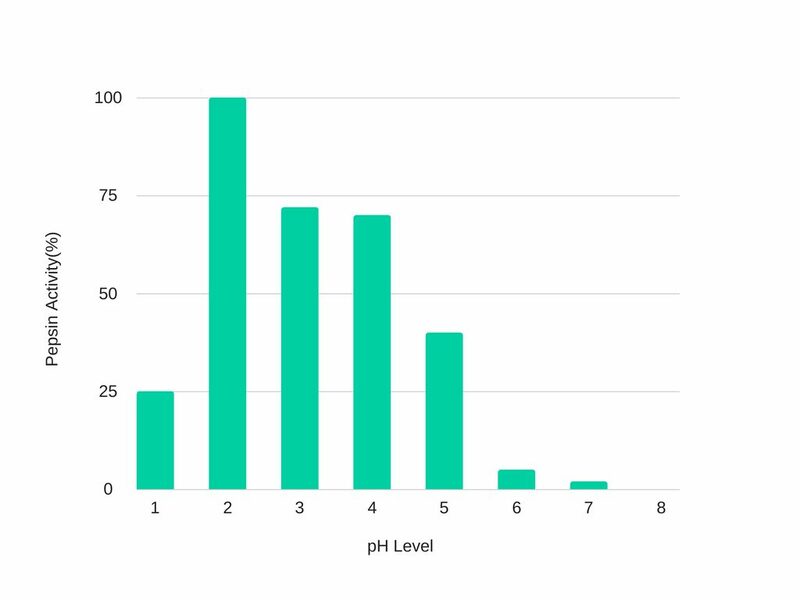 For reference the lower the pH the more acidic it is and the higher the more alkaline. While there is not a lot of research on pepsin currently early research shows that it can lay dormant for 24-48 hours. So, if you avoid the foods/drinks of this lower acidity the pepsin should disperse and go away. As you may have imagined knowing all the relevant foods and drinks with their individual pH level is a big challenge, so I am currently working on putting together a complete diet guide with all the suitable foods and drinks in detail. Come back to this page soon for more information on that complete silent reflux diet plan. Of course, if you are still refluxing the pepsin will still be coming up and we need to stop this. The best thing you can do to start it to avoid the most problematic trigger foods/drinks. Below are the foods which you should be avoiding as soon as possible. For more information on why these foods should be avoided check out my article – Laryngopharyngeal Reflux – Foods to Avoid. Of course, while following these suggested diet steps is essential to recover from LPR there are other elements which should also be followed. One of the most important things to consider is the size of the portions you are eating. When I say this, if you are eating large portions where you feel like you ate too much, or you feel bloated after then this is something for you to think about. The reason why you don’t want to eat large portions is because of the pressure it puts on the lower esophageal sphincter (LES). If you didn’t know the LES is the valve above the stomach which is designed to close once foods enter the stomach and then the digestion process starts. For a lot of people, a LES that is not functioning correctly can be the root cause of their LPR in the first place. When someone eats a bigger meal it puts more pressure on the LES, this higher pressure means more likelihood that the LES will relax and open and thus the acid will reflux up causing you your symptoms in the first place. Not only do you have this effect but because of this overeating it can cause the LES to slowly degrade and degenerate over time. This could be a over a period of months/years for most people and for a lot of them could even be how they got LPR initially. You can read more about the importance of the LES and its role in LPR here. The simple solution in this situation is to eat smaller portion sizes. You shouldn’t eat more than what your stomach can hold at one time. For reference this is about the size of your fist. Keep in mind this doesn’t mean to eat less throughout the day, but it means to spread it out more evenly between more meals and snacks instead of fewer larger meals. Luckily if you do this it will not only mean less pressure on the LES and less reflux symptoms but any previous damage that has been done over the past months/years of overeating can be gradually healed over time and will return to normal function! Whether you have been suffering from LPR for 10 days or 10 years following this diet advice will set you on the right track to preventing the acid from refluxing and getting you on the path to healing. Just keep in mind that if you have had LPR and its symptoms for a longer period of time it will take some more time to heal and fully recover. To give you an idea from my own personal experience, I suffered badly with LPR for about 2 years’ time, then I took these steps as I have suggested, and I got back to normal in six months. Though I noticed the difference as soon as a few days after starting with gradual progress from that point until about 6 months after as I mentioned. If you want a more detailed diet plan that matches all the criteria I have laid out above check out my Wipeout Diet Plan here. It is a diet plan which has been created for people with LPR and has been designed to match all the elements I have laid out above and other important diet information. On a final note I want you to know that LPR can be cured and brought back to normal just remain consistent with the diet. If you have any questions, please leave me a comment below or send me a message here. Also check out my complete guide on LPR which covers causes, symptoms and treatment in detail.